Opening conference for the ORGANIC BRIDGE project was organised on 7th July 2017. 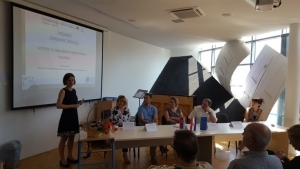 The conference was hosted in the Cultural centre in Valpovo and attended by all project partners: Town of Valpovo; Centre for Organic Production Selenča; Tera Tehnopolis Ltd, Osijek; and TERRA’S Association, Subotica. Over 60 participants from Croatia and Serbia attended the conference. 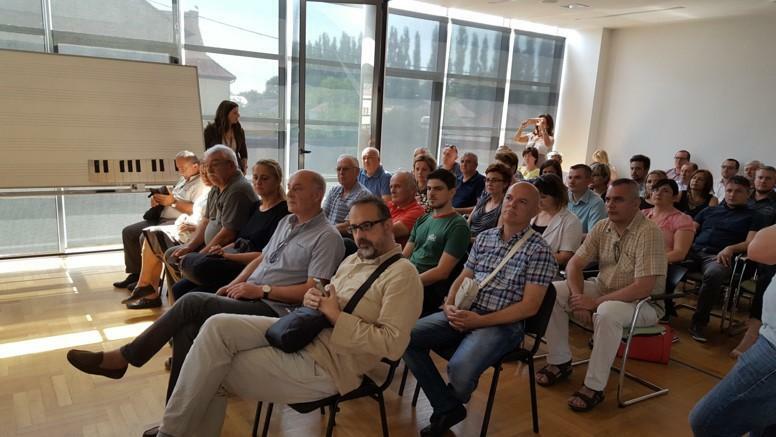 The ORGANIC BRIDGE project aims to contribute to the improvement of competitiveness of the Osijek-Baranja County, and South and North Bačka Districts through the development of new and/or improved existing products, services and trademarks in organic production. 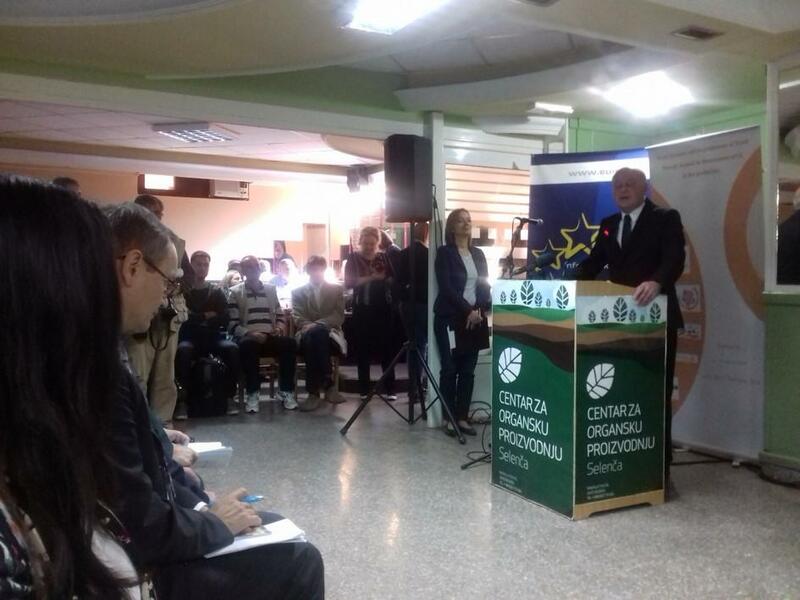 They are based on an increase of organic producers’ competences and strengthened cooperation between organic producers, associations of organic producers, local governments, support institutions, clusters, education and research organisations. 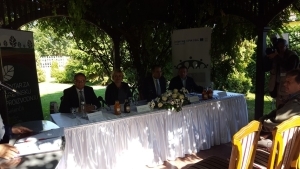 It is directly in line with the overall Programme because it contributes to the strengthening of the social, economic and territorial development of the Programme area through implementation of joint interventions in strengthening of competitiveness and business environment. Jozef Gašparovski, President of the Centre for Organic Production of Selenča, Vuk Radojević, Provincial Secretary for Agriculture, Water Management and Forestry, PhD., Stjepan Glas, Authorized Minister of the Embassy of the Republic of Croatia in the Republic of Serbia, and Msc Lidija Maurović Košćak, Director of Local Development Agency Valpovo-Petrijevci presented the importance of the project for the development of organic agriculture in the Eastern Slavonia and Vojvodina, and more widely.